When most people think of formidable poker line-ups, they think of Team Full Tilt or Team Pokerstars but thanks to the Asian Poker Tour (APT), there is a new group on the international poker landscape and it won’t be long before you include them on your list of the game’s elite. Appropriately called the Poker Pack, this group of six Asian players has become the face of the APT and they are helping to spread the game across this fledgling market in the same manner as their US counterparts. Unless you’ve been hiding under a rock for the last couple of years, you have probably already heard of some of The Poker Pack’s members. Leading this crew of bad boys is the wily veteran J.C. Tran. Having made a name for himself conquering US poker tournaments, Tran remains at the forefront on the industry by collecting two World Series of Poker bracelets and a World Poker Tour win. He has earned over $7.8 million over the span of his career. 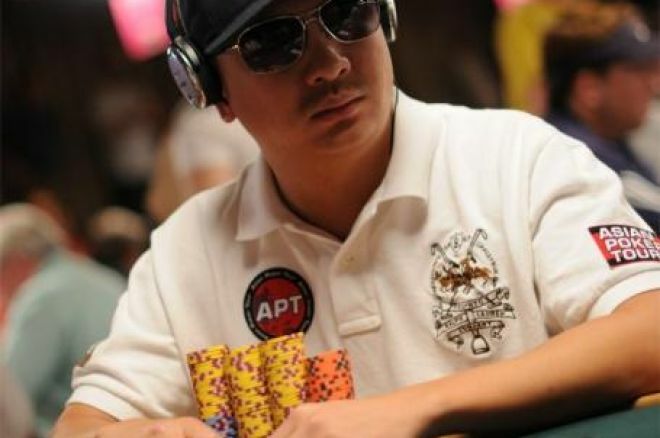 The second member of The Poker Pack is Vietnamese player Nam Le. Arguably one of the world’s’ best No Limit tournament players, Le won last year’s Asian Pacific Poker Tour (APPT) Macau High Rollers event and he continues to be a threat in every tournament he enters. This moneymaking machine has knack for profiling his opponents so well that he has managed to win over $5.9 million in tournament earnings over the course of his short career. Joining Tran and Le on the poker frontlines are WSOP bracelet winners Quinn Do and Steve “MuGGyLiCiOus” Sung. Although these two haven’t received the television face-time that Tran and Le have, both have repeatedly proven that they have the skills to pay the bills after surviving tough fields at the WSOP for their wins. Sung’s biggest claim to fame was having won the biggest non-Main Event tournament in WSOP history and Do continues to prove that his 2005 WSOP No Limit win was no fluke. Although Do has earned a reputation as a live tournament player, Sung earned his reputation as one of the game’s top young guns by becoming one of the online community’s elite high stakes players. Do has earned over $2.1 million in tournaments while Sung has dragged roughly $2.9 million. Arguably the most famous of the crew is David “Chino” Rheem thanks to his 2008 November Nine appearance in last year’s WSOP Main Event. Proving he was no “one-hit wonder,” Rheem went on to capture WPT’s $15,000 Doyle Brunson Five Diamonds World Poker Classic in December of 2008. A veteran of the tournament scene, Rheem is one of the more colorful members of the team. He has earned over $4.2 million thanks to his two big finishes. Possibly the least well-known player in the group is former Starcraft champion Kwan Soo Lee. Although he has earned a reputation as a top gamer, Lee still needs to prove himself in the tournament poker arena. If the transition from gaming to poker by top Starcraft players like Bertrand “Elky” Grospeiller or Hevad “Rainkhan” Khan has taught us anything, it is that we shouldn’t count these video game junkies out of the mix as they have proven they have the chops to play the game. Only time will tell if Lee can hang with his fellow teammates. The APT’s first event of the season is August 12-15, in Macau, and The Poker Pack will be there to represent. Represent as well, by winning your way in through satellites being held by; Titan Poker, Party Poker, Bwin and PKR. And, while you’re in Macau, stay for the 15-day long Macau Summer Festival of Poker in mid-August; APPT Main Event satellites are running right now at Pokerstars.